VegNet « your regional insect pest monitoring resource! Welcome! 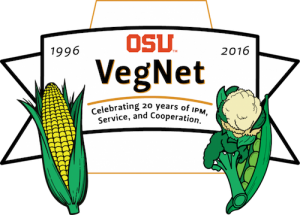 VegNet is part of Oregon State University’s effort to foster sustainable food and farming programs. We monitor for insect pests and produce weekly activity reports that can be combined with field sampling to estimate pest pressure and make informed decisions about pest management priorities. VegNet has been operating within the Willamette Valley for more than 20 years. Our current subscriber base includes researchers, consultants, gardeners, and commercial growers from across the nation. and become part of the VegNet community! For more information, please use the menu above or contact the program administrator.